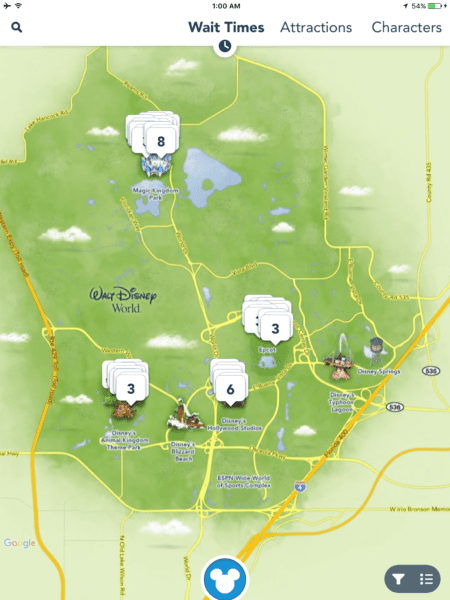 I have a Love/Hate relationship with the My Disney Experience App. Sometimes I think it’s the coolest app in the world as I can make my FastPass+ reservations, Dinner reservations, see attraction wait times etc. It also has a history of being super unreliable, freezing often or being too complicated where even though I’ve used it a million times, I find myself getting lost. 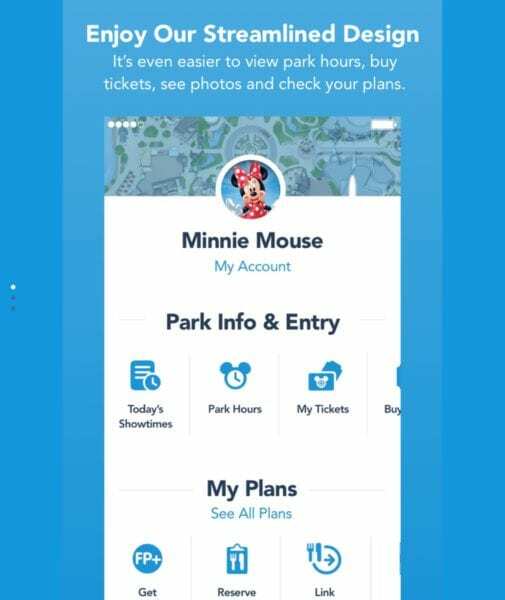 Well Disney is working hard to make some of that easier for the end-user and they’ve recently done a new My Disney Experience App redesign, to help user with some of those issues. 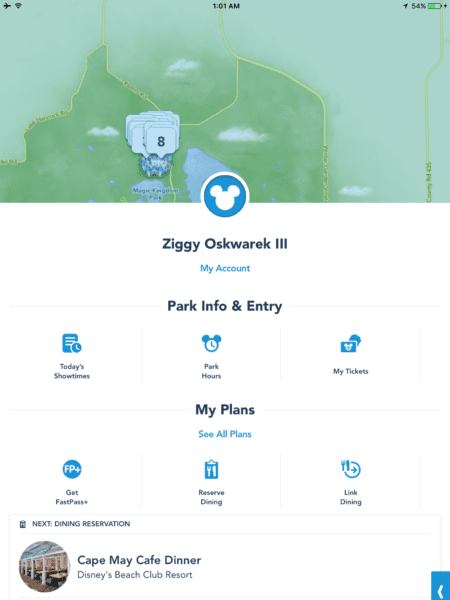 Now when you enter the app, the app opens automatically to the Parks page with the Wait Times of all the attractions. Then if you click the Mickey Head icon at the bottom of the page it pops up the page which shows you info specific to your trip: Park Hours, My Tickets, Dining Reservations, FastPass+, etc. I find this interface to be much more user-friendly and it was much easier to find exactly what I was looking for. It’s also easier to find your PhotoPass pics as well as they pop up on that front page. One of the new sections is called “Spotlight” which highlights new park experiences and entertainment offerings that you might otherwise not know about. Another great change is the “My Resort Dashboard,” which tells you all your resort info right in one place. It even now tells you your room number (which comes in super handy for me), theme, building and floor, once you are all checked-in to the resort. 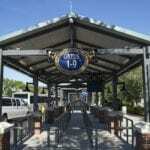 It also tells you all your Disney Transportation options in case you aren’t sure how to get to where you need to be. The new app is also more inline with the apps for other Disney Parks Worldwide. So while I’m not sure how much more stable the new app is, there are certainly a bunch of changes in the design that should make it more streamline and a bit easier to use which is always a complaint I hear. Good step in the right direction. 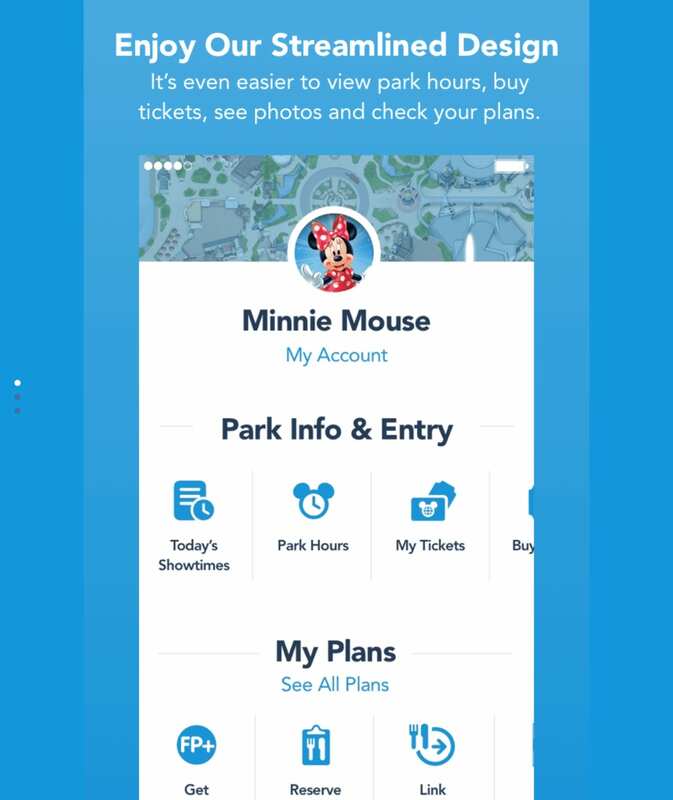 I want to know what you think about the new My Disney Experience App Redesign. Do you like the new design? What other changes or additions would you like to see on the app in the future? Let us know in the comments section below!